This vegan chili recipe is super easy to make and stores well for next-day lunches. Serve with crackers or over rice. Perfect for Meatless Monday or any day of the week! Optional: Add a “meaty” texture with a faux beef product (Beyond Meat Beefy Crumbles works well). 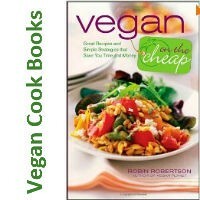 Melt some vegan cheese on top (Follow Your Heart melts well). Chef’s note: For a smoky flavor, add 2 teaspoons of smoked paprika in at the very end. 1. Heat 2 tablespoons of oil or water in a medium-sized sauce pot. Add the onions and peppers. Saute on a low-medium heat until soft (about 10 minutes). 2. Add garlic, spicy pepper flakes, and cumin. Cook for 2 minutes until garlic turns golden. Add optional vegan beef. Cook for two more minutes until meat is browned. 3. Add cup of water, tomato paste, diced tomatoes, and kidney beans. Stir until well combined. Bring to a boil, then simmer for 10 minutes or until desired thickness is reached. Add salt and pepper to taste. Optional: Top with vegan cheese. 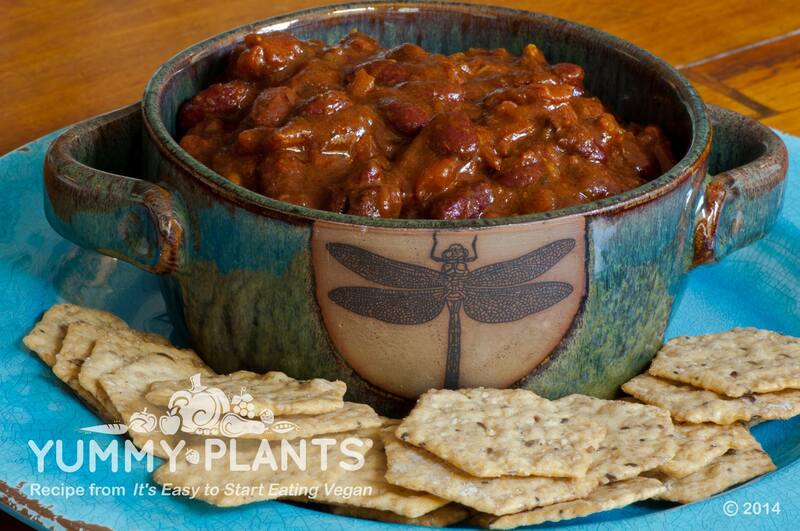 Let us know what you think of this easy vegan recipe: Chili! This looks amazing! And, may I ask where I can purchase the bowl? The “dish” compliments the dish! Thank you!